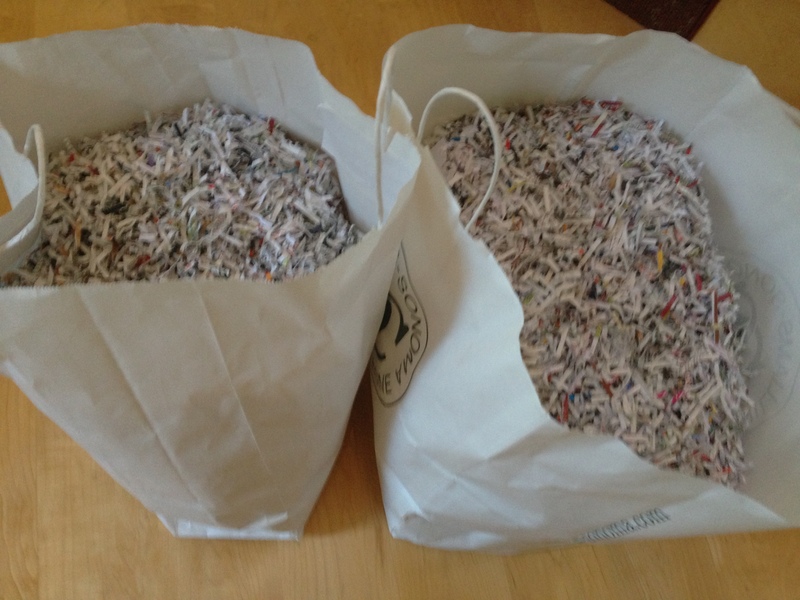 Clump #34: Shred Neglected Bag O’ Shreddables. 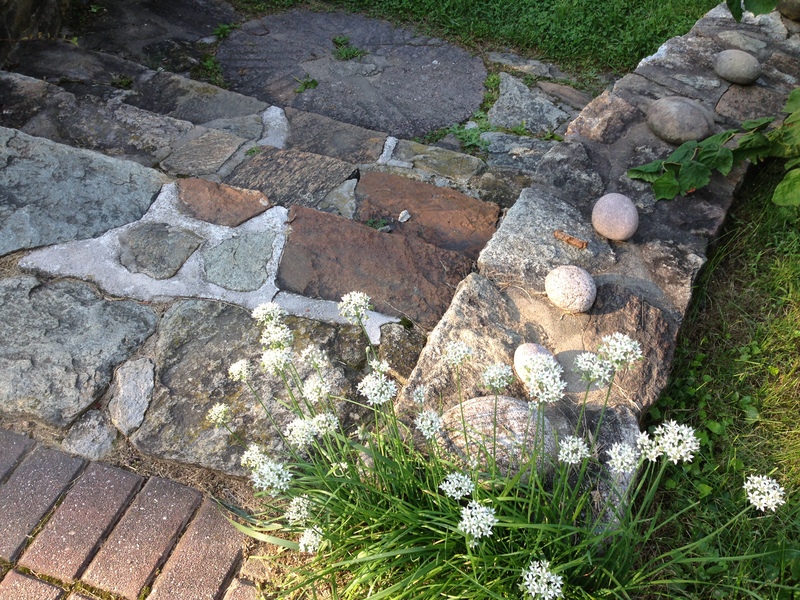 For those wondering why I have been posting at a higher frequency than usual, I am beginning a 30-Day–30 Clumps–30 Posts challenge for the month of September. Can I really do it? Tune in and see! Back to work. From this vantage point, the pile of paper doesn’t look so foreboding. I weighed it. 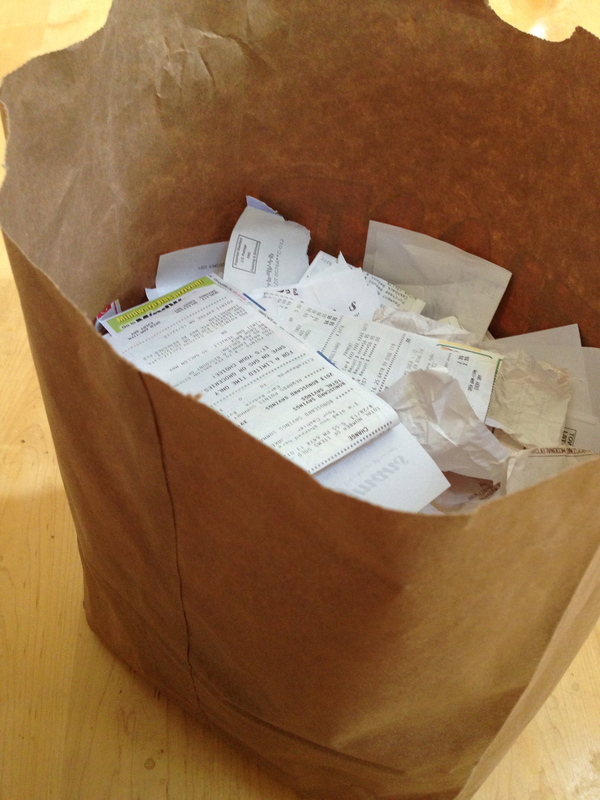 It was four pounds of receipts and other sensitive-information stuff. Our parents’ generation never had to worry about this kind of thing. It didn’t even take that long to shred, given time-outs for a paper jam (over-eager) and the shredder’s motor overheating. The job accomplished two things: first, making a dent the paper jungle — our worst clutter problem — and also, keeping a loud, steady noise going in the way-too-quiet, empty house. Lo and behold, another bag of already-shredded of paper sat nearby, waiting to be recycled. Here’s the after picture, a combination of the two. Ready for the recycling truck. 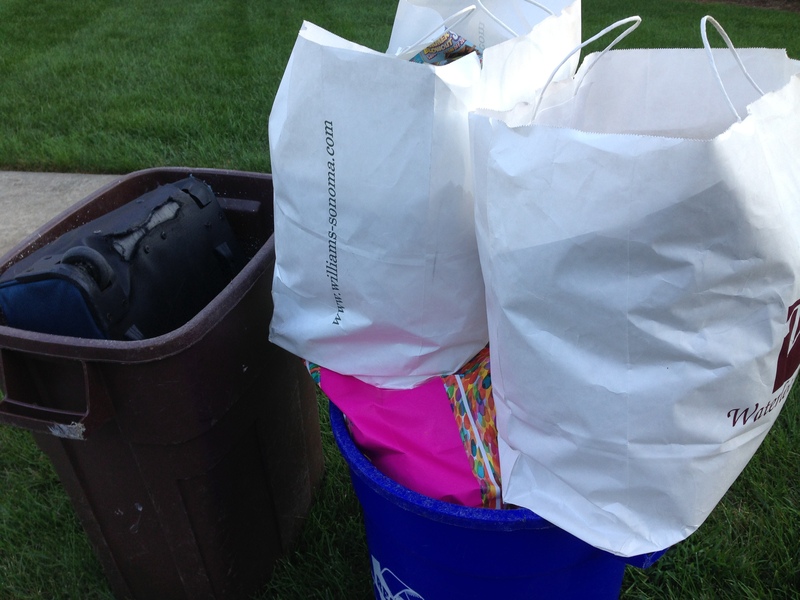 Note that bad old suitcase of yesterday’s post kicked to the curb. I was inspired by the story on the front page of today’s Philadelphia Inquirer. 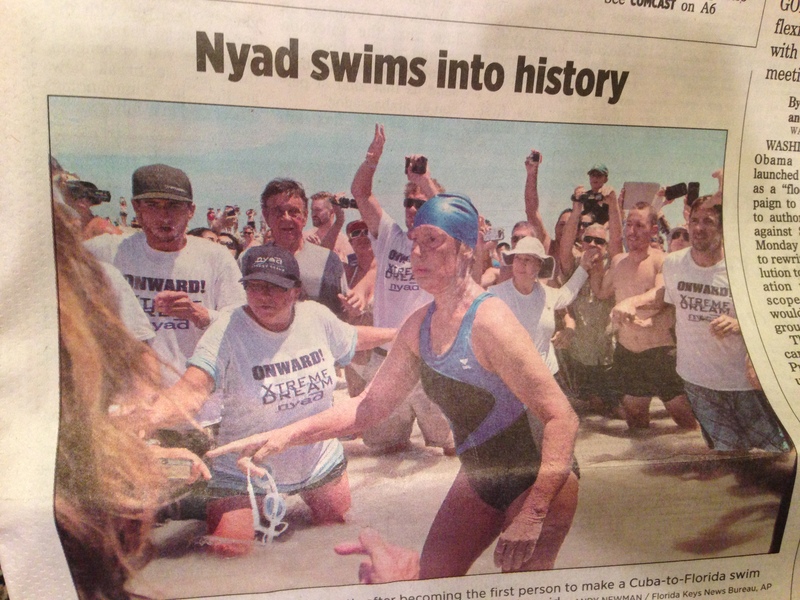 Endurance swimmer, 64-year old Diane Nyad, became the first person to swim from Cuba to Florida, approximately 110 miles, without the help of a shark cage. It was her fifth attempt. I would like to take a moment to thank my older daughter and my blogging mentor, Jane — my team — for their steadfast encouragement. They have so often rescued me from the sharks and jellyfish of my inner demons and kept me on track.